So you want to learn hand lettering? 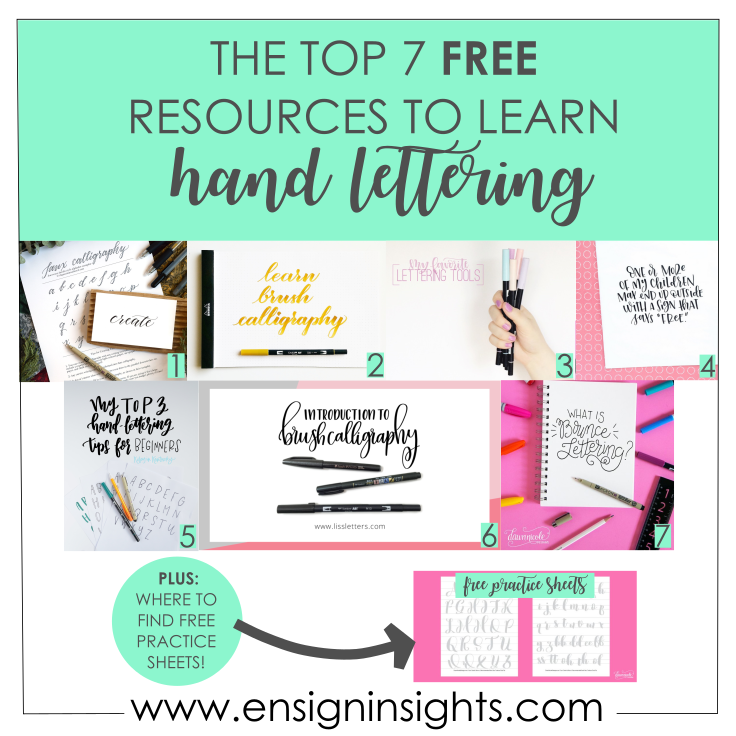 Have you asked yourself, “How do I learn hand lettering?” or “Where should I start?” You are in the right place because this post is all about the top free resources to learn hand lettering. 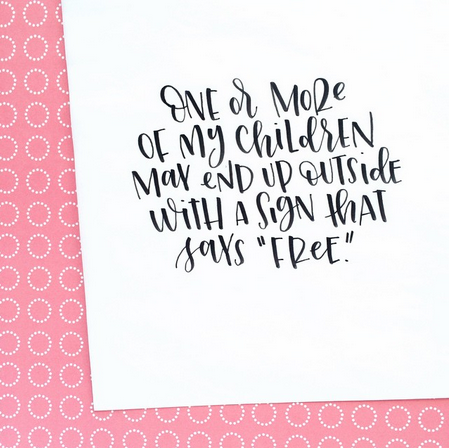 The best part is that they’re all free lettering resources. I’m very excited to share them all with you! I also have a post about the 3 best brush pens for beginners in case you don’t know what pens to start with. Before I get started, the best resource to learn hand lettering is right here on my website. I share lots of tutorials. I send free practice sheets to my newsletter each week. Some of the numbers in the following image have changed as I updated this post because more and more resources are becoming available! And as I continue to grow, I am putting out as much free lettering resources as I can to help you. Lindsey’s blog is full of resources for beautiful calligraphy and paper crafts. It was from her that I first learned fauxligraphy which I used for the first several months of lettering. She call’s it “faux calligraphy” here. Once you master this skill, moving on to a brush pen will be so much easier. When you go to this tutorial, you might not be leaving her site for a few hours, so make sure to watch the time. As soon as you go to this brush lettering tutorial, you will be sucked in. Sharisse is very thorough and explains everything to the tiniest details. There is so much information that she is giving for free! She is so generous. If this was your only resource, you’d be on your way to an amazing hand lettering artist. Yes, this is a resource from me! I spend a good amount of time creating videos reviewing and comparing brush pens so you know which ones might be a good fit for you. I also have a playlist of of lettering tutorials for hand lettering beginners. Want to binge lettering videos? 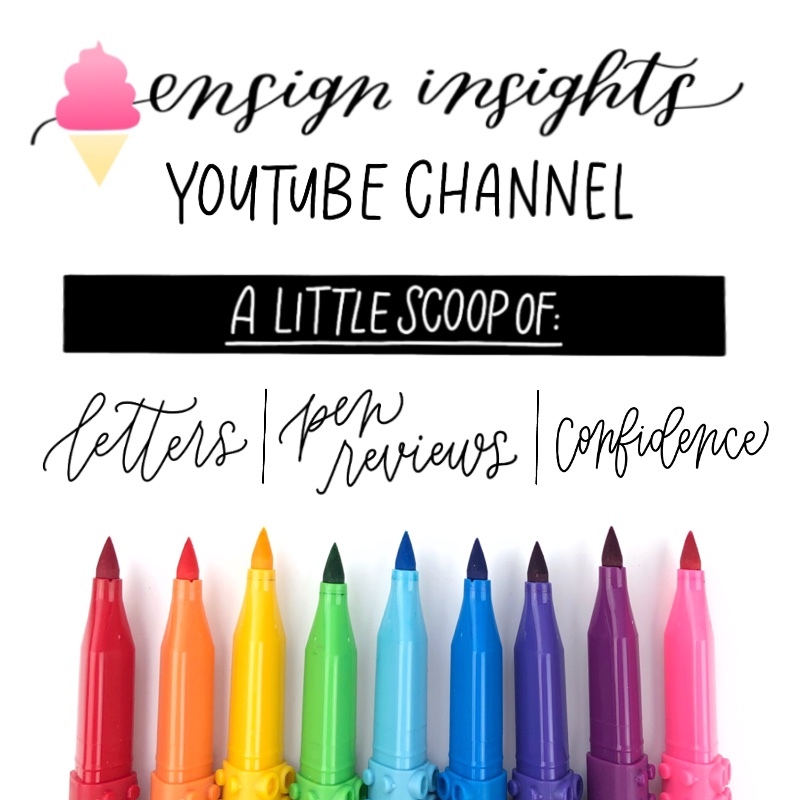 Check out Ensign Insights YouTube Channel. Amanda was the first person I ever started learning hand lettering from. She is amazing inspiration and she is also so sweet to everyone. First, go to her site. On the home page you will see two free email courses that you must sign up for. The Letter Better Series and Flourishing Foundations have improved my lettering skills dramatically. And even better, they are free and they come right to your email. She has amazing free resources that you don’t want to miss out on. Do you wonder how you could create your own lettering style? Maybe you want your own unique hand lettering alphabet. In this free mini course, I will teach you the process of creating a unique alphabet that looks cohesive. You will get an email every day for 5 days with practice sheets and video lessons. Pretty soon, you’ll be creating all the alphabets! 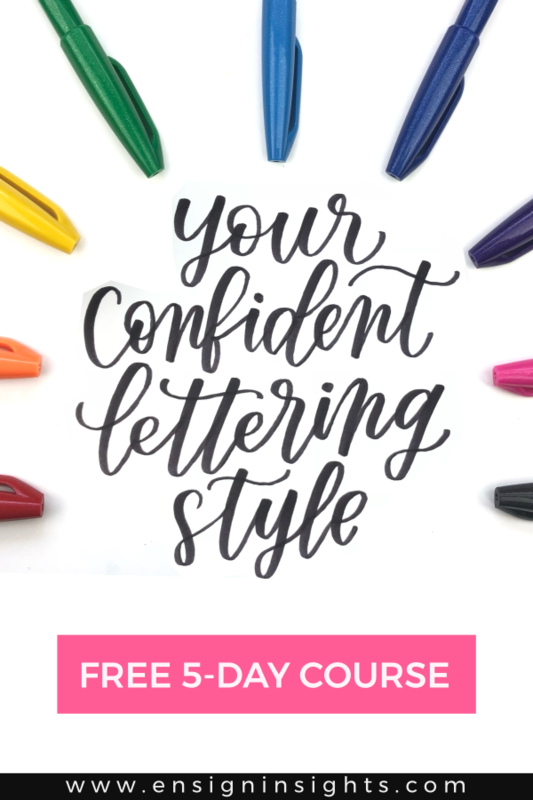 Sign up for Your Confident Lettering Style mini course. Dawn’s website is packed full of resources. You can spend days reading through everything. You should definitely get on her “Happy Email” list. Go to her Hand Lettering 101 post to see the resources specifically to learn. Because Dawn is awesome, you can also learn how to do Bounce Lettering for free. For the longest time, I saw beautiful pieces where the letters seemed to be dancing, but I didn’t know how to do it myself. If you feel the same, make sure to check out this tutorial. Last thing about Dawn, you will want to make sure to download her free Fun with Flourishing eBook. This will give you even more tricks to flourish. Flourishes can be a fun way to spice up your lettering. BONUS RESOURCE: Are you a visual learner? I recently discovered a resource from thisdesignedthat.com with 20 video tutorials to learn hand lettering. Seriously, it is the best compilation of hand lettering video tutorials I’ve seen. If you are only going to use one of my free resources, this is the one! Go check out these 20 hand lettering tutorials. 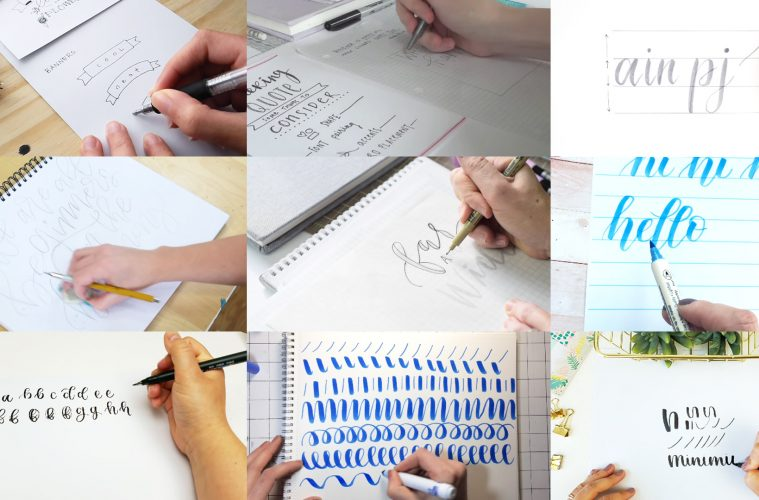 So now you have the top resources to learn hand lettering, it’s time to start practicing! There are so many practice sheets out there. Lettering practice sheets are a great way to build muscle memory. My advice is to try a variety of practice sheets so you aren’t learning just one font. I send out a free practice sheet each week to my email newsletter and the focus is practicing different styles of letters so you’re not just stuck with one font style. Are there some resources you love that I missed? Please let me know in the comments! This is so helpful, and I am inspired just by your comments and your encourgement. Thank you for your wonderful list of resources. I’m so glad you found this helpful! Happy lettering! Wow, thank you for this awesome resource. Way to pull so much together! Thank you! I’m so glad it could be helpful! Enjoy! Great post, I’m new to hand lettering so I’m excited to get started! !